Sheila Dikshit, the three-time Chief Minister who ran the national Capital for 15 consecutive years till getting a major drubbing in the 2013 Assembly election at the hands of Arvind Kejriwal, has come out of the political hibernation to head the Delhi unit of the Congress. 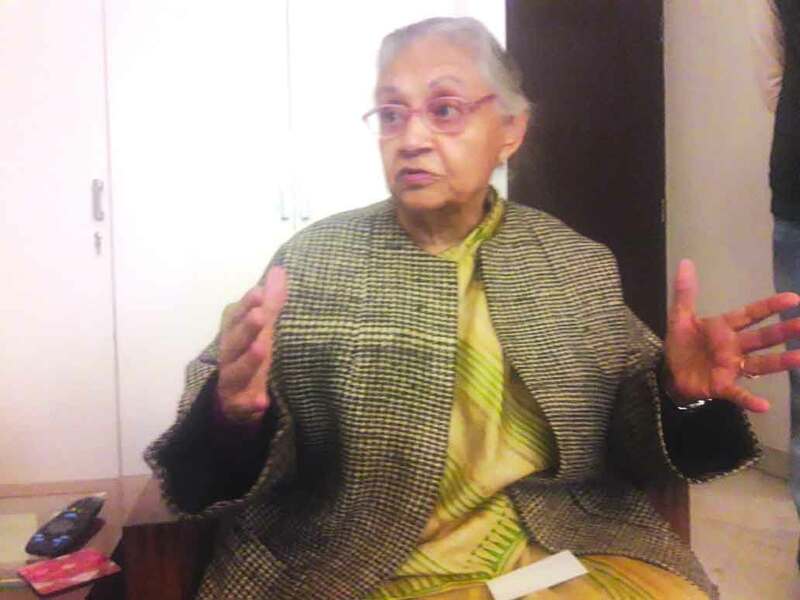 Famous for not mincing her words, the veteran Congress leader believes her party will bounce back to power on its own strength, and is dead against stitching up any pre-poll alliance, ruling out any truck with the Kejriwal-led Aam Aadmi Party (AAP) in Delhi for the forthcoming Lok Sabha elections. In an interview to The Pioneer’s Swarn Kumar Anand and Asad, Dikshit said Congress’ prospects are bright as people are growing weary of non-Congress Governments. For almost three years, you have been away from active politics. Now the Congress has entrusted you with an important task of steering the Delhi unit of the party. How do you feel? Now, as head of the Delhi Congress, what future do you envision for the party in the Capital, say after one year, in 2020 Assembly polls? In the last two Assembly elections in Delhi, the BJP almost retained its vote percentage, but the AAP ate into the Congress’ votes, and dented its prospects. But recently, speculation about alliance with the AAP has been doing the rounds. And in fact, this is one of the covert reasons for Ajay Maken’s resignation from State unit chief post. What is your take on alliance? Despite opinion polls giving the Congress a good chance in UP Assembly elections, you refused to accept CM candidature. Did you see the writing on wall that the party will not do well? What makes you so confident that voters will again support the Congress? What is your plan? Now back in the saddle in Delhi, how will you strengthen the Congress and energise party workers? As you are against any alliance with the AAP, will the Congress fight all 7 LS seats in Delhi. Is there any hope for alliance talks? It is reported that the city unit of the Congress is afflicted with infighting. How do you plan to address this issue?